When a young American woman vanishes without a trace from a quaint fishing village on the coast of England only one person knows the truth, but he remains silent, allowing the authorities to search for her in vain, safe in the knowledge that she will never be found. As Valerie’s bereft sister returns home alone, she struggles to understand what happened and come to terms with her terrible loss when she suddenly stumbles upon a clue that might finally shed some light on her sister’s disappearance. Meanwhile, Valerie Crane finds herself transported to the year 1605. Terrified and confused she turns for help to the Whitfield brothers, who take her in and offer her a home despite their misgivings about her origins. Both Alexander and Finlay Whitfield fall in love with the mysterious woman who shows up on their doorstep, creating a love triangle that threatens to consume them all. Valerie must make her choice, deciding between the brother who will lead her down the path of destruction or one who will give her the love she couldn’t find in her own time. Irina Shapiro was born in Moscow, Russia, where she lived until she was eleven. In 1982 her family emigrated to the United States and settled in New York. Due to her love of reading, Irina was able to pick up English very quickly, and was an honor student throughout her school career. 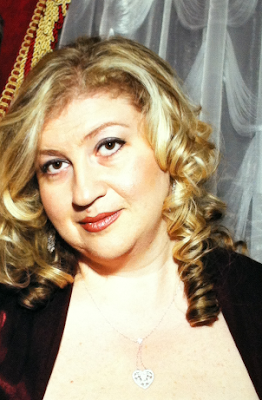 After graduating from Bernard M. Baruch College in 1992 with a Bachelor’s degree in International Business, Irina worked in advertising for two years before shifting her focus to Import/Export. She worked her way up to the position of Import Manager in a large textile house before leaving the work force in 2007 to focus on her autistic son. It wasn’t until Irina had been at home for some time that she began to write. Eventually the characters began to take on a life of their own and have conversations in her head, and once she started writing her musings down the stories came easily enough. Irina incorporated her love of history and travel into her writing to create a rich and detailed background for the characters. Since then Irina has written eight novels. 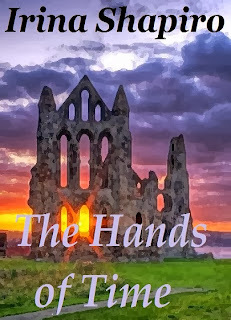 She is currently working on book five of The Hands of Time Series. Irina Shapiro lives in New Jersey with her husband and two children. For more information, please visit www.irinashapiro.com. You can also follow her on Facebook and Twitter. As a writer, one of the first questions I ask myself when planning a time travel romance is where exactly am I sending my heroine, and why. Those might seem like fairly simple questions, but the time and place are of paramount importance since they function as the backdrop for everything that happens in the story, and the political and social elements shape the events and the relationships between the characters. When writing The Hands of Time, I was sure that I wanted to send my American heroine to England, but it took some research to decide on a time period. I’d already written about the Tudor era, as well as eighteenth-century Scotland, but this was going to be something different, and I didn’t want to write about events that many others have already explored in their work. For some reason, my mind kept turning to Guy Fawkes Night. I found it intriguing that it’s still celebrated in England on November 5th, and effigies of the unfortunate Guy Fawkes are burned throughout the country, commemorating the events of that day. I didn’t know much of what transpired, but took it upon myself to learn. The more I read, the more it seemed to fit with my story. Religious strife between Catholics and Protestants in England was nothing new, but this wasn’t the religious revolution started by Henry VIII, and perpetuated by his devoutly Catholic daughter Mary and her Protestant half-sister, Elizabeth. This was an equally volatile, but later time in British history, when a Catholic monarch was on the throne after years of Protestant rule, yet the Catholics were still oppressed and discriminated against as much, or even more, than they had been during the reign of Elizabeth I. Their discontent was such, that it prompted a plot that nearly succeeded in blowing up the entire Parliament with the King in attendance, an act that could have changed the entire landscape of British politics had it not been foiled in the nick of time. Now, this sounded like something my characters could really sink their teeth into, and a fascinating situation to explore through the eyes of my American heroine who came from an era of religious freedom and equality for all. I had chosen the time and place, and now all I had to do was write a great story incorporating the religious, political, and social climate into the lives of my characters while they tried to navigate the treacherous waters of sixteenth-century England, and still manage to find happiness and love, and a carve out a future for themselves.